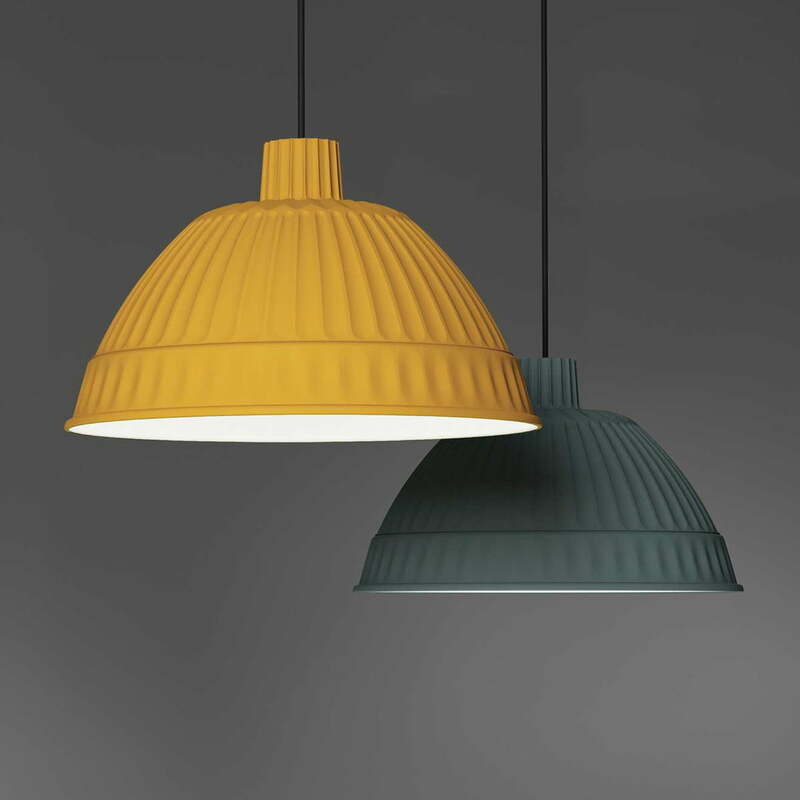 The Italian manufacturer FontanaArte took the inspiration for Cloche out of its own archives, it is a modern variation of the 1995 designed Pudding Lamp. 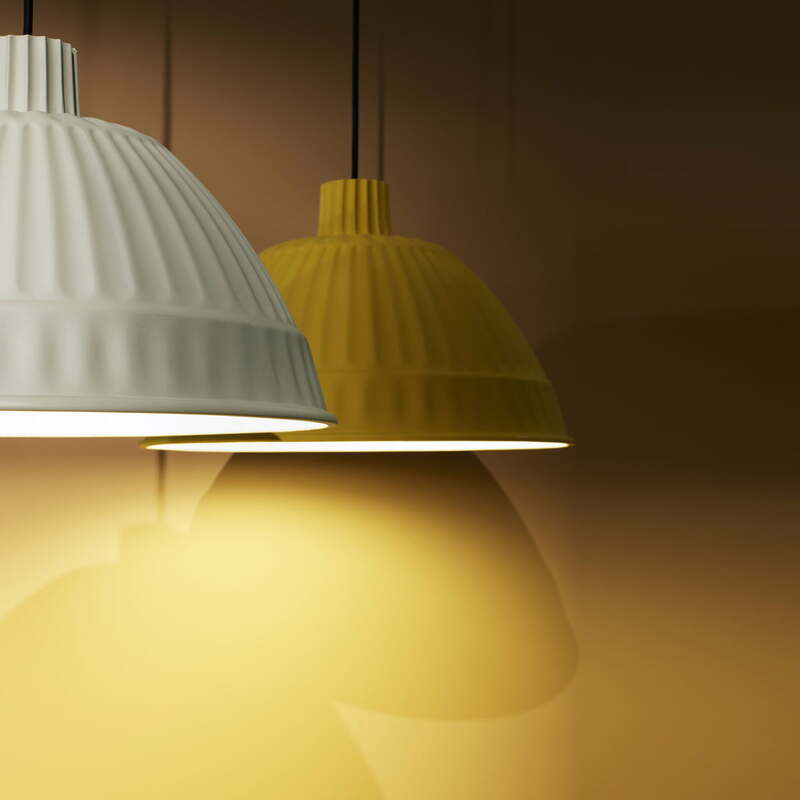 The name of the pendant lamp reveals it already: the lampshade of Cloche has the shape of a pudding – or as the according baking tin - as well as its predecessor. 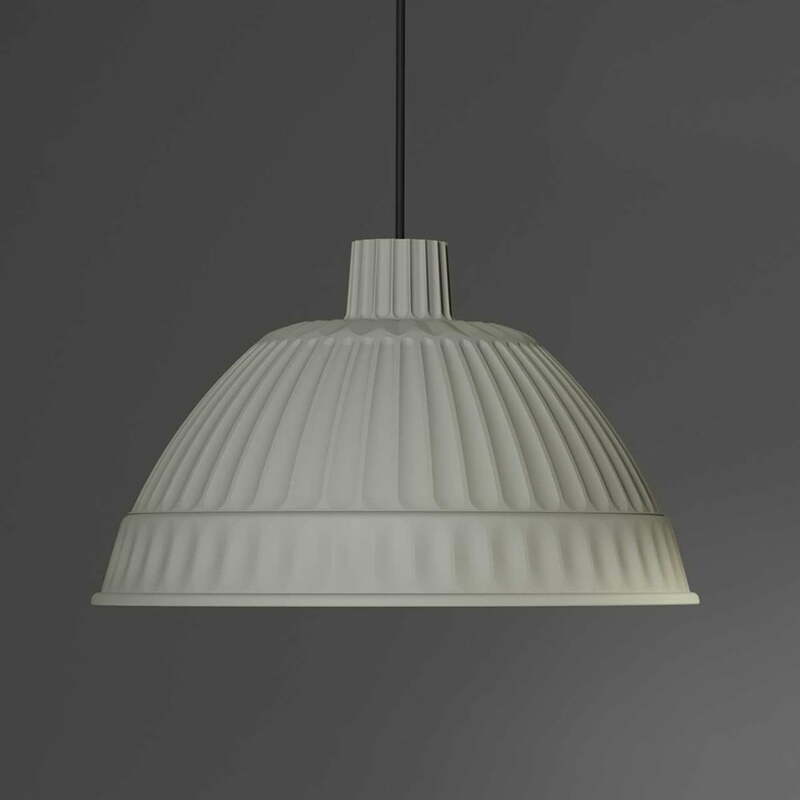 The inside of the Cloche pendant lamp was kept in a matt white colour, which spreads soft, warm light. The direct, downwards directed light makes Cloche especially suitable to illuminate the kitchen and the dining table in the dining room, as well as working surfaces in hotels, restaurants or offices and as well in small shops. 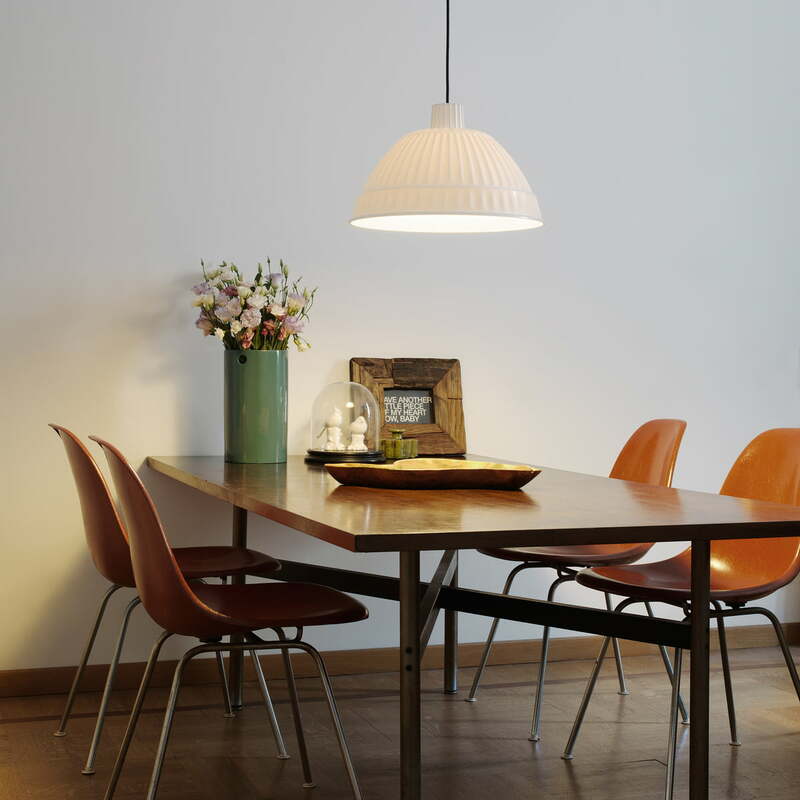 The pendant lamp from FontanaArte is made of techno polymer and it is available in different colours.